On December 4, 2018, Lighthouse India Fund III, Limited, an affiliate of Lighthouse Advisors, India’s leading, consumer-focused private equity manager, is investing over INR 250 crore (USD 35 million) to acquire a minority stake in Aqualite Industries, one of India’s leading footwear companies. The affiliation took place in Mumbai. Founded more than three decades ago, Aqualite offers more than 6,500 SKUs in hawai, non-hawai and shoe product categories. 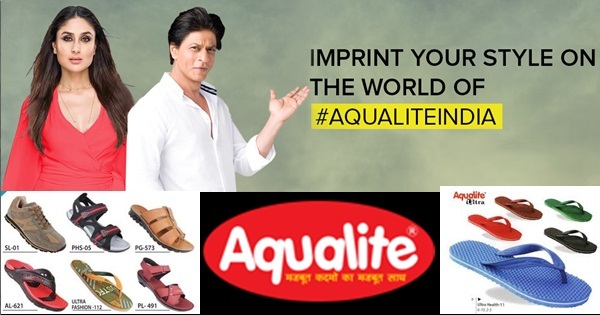 The products are sold under several sub-brands, under the umbrella of ‘Aqualite’. The Company operates through its manufacturing units located across Haryana and Rajasthan. It has a pan-India distribution network of 35,000 retailers, with significant presence in north and east India. The Company is expecting a turnover of over INR 800 crore in the current financial year. “We are very excited to partner with Lighthouse, given their impressive track record of investments in over twenty-five brands. We look forward to their support and guidance for our next leg of growth. We plan to utilize the capital for marketing, capacity expansion and growth plans” shared Mr. Davinder Gupta, Founder, Aqualite Industries. Aqualite marks the fourth investment for Lighthouse in the current year. Last month, the fund invested INR 160 cr in Duroflex, a leading mattress brand in south India. In September, it made an investment of INR 113 cr in Nykaa, India’s premier beauty retailer, while in June, it invested INR 83 cr in Tynor Orthotics, a leading orthotic soft goods brand.